A facial designed with your skin in mind. Our professional skin therapist will assess your skin and choose the products and masks that best address your skin concerns while gently massaging and relaxing the muscles in the face. 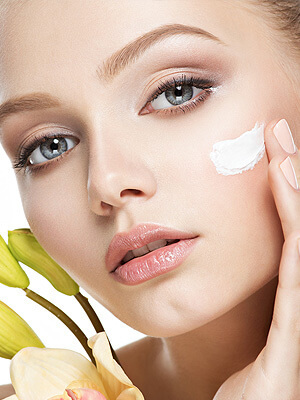 Do you have sensitive skin, we have the perfect facial for you. With products and techniques chosen specifically for those with sensitive skin. Complete with gentle facial massage and calming oatmeal mask. A pampering deep cleansing treatment for clients whose skin is prone to congested pores and acne. This facial is all about cleaning out your pores and calming the irritating inflammation with the use of red/blue LED light therapy. A facial specially selected for those of us with anti-aging in mind. Combat visible signs of aging with this unique age defying treatment. A powerful multivitamin exfoliant plus 2 anti-aging masks completes this amazing treatment! A truly innovative facial! A good hot stone can help the mind and body heal. This facial relieves the effects of stress, improves circulation and relieves sinus pressure. Leave feeling relaxed and clear minded after this relaxing experience. Our Gentleman’s Facial provides a customized treatment that includes deep pore cleansing, exfoliation and a soothing masque. This facial helps repair the damage caused by daily shaving, skin sensitivity, dullness, aging and the environmental impact. Ideal for men who like to look and feel their best. Lay down and let your day melt away with this luxurious spa experience. The Platinum facial experience includes a facial specifically customized for your skin condition, followed by an uplifting shiatsu eyelid massage, scalp, neck and shoulder massage and finished with a relaxing hand and foot massage. You will leave feeling revived! It is exactly what it sounds like, a facial for your back and it makes perfect sense – backs are hard to reach and maintain. Our back facial service addresses this issue by focusing the same techniques used in our facial services but, target the back. The main focus of our back facial service is to improve the health of the skin while providing a deep moisturizing treatment. Revive MedSpa at Eye Care Specialists offers a number of cosmetic eye procedures including blepharoplasty (eyelid surgery), ptosis repair, eyelid reconstruction, eyelid lesion and skin tag removal, and treatment for festoons and under eye bags. Our facial cosmetic procedures range from brow and lip lifts to earlobe repair and liposuction of the neck. We also offer cosmetic injections such as Botox® and Xeomin® as a temporary yet effective treatment for facial wrinkles. The health and appearance of your skin is important to Revive MedSpa at Eye Care Specialists. 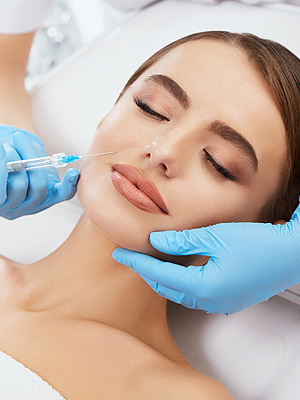 We offer BroadBand Light (BBL) treatments for skin pigmentation, laser skin resurfacing, DermaPen Microneedling, HydrafacialMD and skin care products such as SkinCeuticals and EltaMD. Learn about the life-changing effects of body contouring - a procedure that reduces excess fat. Revive MedSpa at Eye Care Specialists performs minimally invasive, FDA-cleared laser treatments such as SculpSure and SmartLipo. Eye Care Specialists leverages AdRoll’s cookie-based technology to group users into re-marketing audiences who have expressed an interest in our procedures by accessing key pages throughout our website. We do not collect any personally identifying information with this cookie. Audience members may be shown Eye Care Specialists text and/or image ads on any 3rd party Internet sites for a limited period of time. As always, we respect your privacy and are not collecting any identifiable information through the use of AdRoll’s or any other 3rd party remarketing system.